Long before Ra Ra Riot performed a single note of its dancetronic third album, Beta Love (Barsuk), the band talked at great length about the need for a change. The viscerally charged chamber-pop outfit had maintained a steady course after the tragic 2007 drowning death of beloved drummer John Pike, blossomed on its 2008 Barsuk full-length debut, The Rhumb Line, and flourished with a variety of subsequent beatkeepers, but everyone felt the inevitable tug of creative evolution after 2010 sophomore album The Orchard. The roles of violinist Rebecca Zeller and guitarist Milo Bonacci changed the most dramatically; with the dominance of the synthesizer on Beta Love, Bonacci was forced to radically reimagine/rewrite his guitar contributions and take on more expansive sonic duties, while Zeller was freed up to explore new approaches with her instrument and the spare strings the band utilized. Bassist Mathieu Santos will be guest editing magnetmagazine.com all week. Read our brand new Ra Ra Riot feature. Santos: It started like any other visit to my local record store—idly flipping though the rows, not really paying much attention to anything other than the act of passively browsing—and then I saw it! 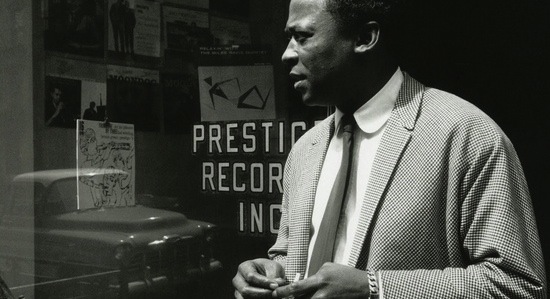 The good folks over at Music On Vinyl had reissued one of my all-time favorite records: Miles Davis‘ On The Corner. Within a half hour, I was back home with my stereo cranked, totally enjoying every single jittery, jumpy, uneasy, raw note in the opening opus “On The Corner/New York Girl/Thinkin’ Of One Thing And Doin’ Another/Vote For Miles.” It’s one of those special albums that I always want to listen to.